The Beard Team USA Blog: North to Alaska! The 2009 World Beard and Moustache Championships will take place in Anchorage, Alaska. Anchorage was the successful bidder in a recent bid process held by the World Beard and Moustache Association. The championships will take place in conjunction with the start of the annual Iditarod dog sled race in March, 2009.
hi my name is randy and i live in alaska about 45 min.from anchorage and am looking forward to seeing the compatition. good luck to all. That's awesome. Do you know of any beard clubs near Philadelphia? I don't have much of a beard now, but it would be awesome to grow one and join up. Damn right! Democracy may be a wild GOP dream in Iraq, but it lives in the beardsphere. I can not wait for Alaska. I will be there. Nothing like a big fair, sled dogs, and beards! I will be winning in 2009. Thought you might want to know. Stone and the rest of the Film Crew rule! Gary's adventure in the film clip on the "What the" section is really funny. Update the site please! It's so awesome. Maybe one day when day when I hit puberty I will be able to grow a beard and join you all! I live in Fort Worth, Texas, and would be interested in entering the beard championship. How can I go about this? The creativity behind this web site has made the website visually appealing and a credit to your website designer. Thanks for spending the time to create something so nice and easy on the eye. Amazing!!! 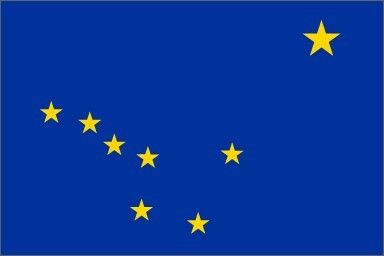 I just moved to the AK and can't wait... where would I find the rules of competition??? Just did a tribute to beards on my site and then through searching the net found exactly how many people have done much of the same thing....love your site, will definitely be linking up, if you don't mind. As captain of the Brainerd High School intramural basketball team "The Manly Mustaches" I would like to Congratulate the USA Beard team, and thank them for the inspiration. Interesting... I am still looking for a great alaskan malamute dog do you know of directory or something? Anchorage, Alaska – Nov. 28, 2005 – Hundreds of competitors vying to sport the world’s most impressive beards and moustaches will converge on Anchorage in four years. In March 2009, Anchorage will host the World Beard and Moustache Championships (WBMC).